Can Ricoh's G600 possibly be as rugged as it looks? 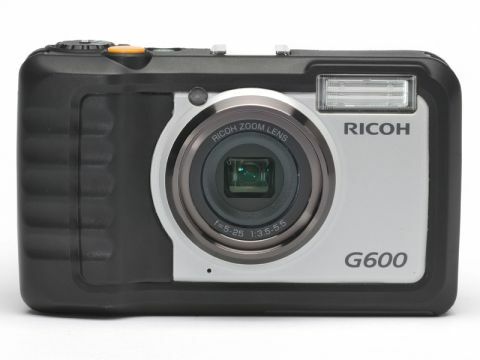 If looks counted for anything, the Ricoh G600 would be the toughest camera around. It's much larger than the most compacts, and has a rubber-like finish that feels much more suited to bouncing off rocks or getting a grip on underwater. Unfortunately, with a depth rating of just 1m, it's going to be in trouble in anything deeper than a paddling pool. It's shockproof to 1.5m, though, so it'll take a knocks, and could be useful for hikers. The G600's size and finish are strong points, as are the controls. They're bigger and spacier than those on other waterproof cameras. The picture quality is impressive too, with resolution at both ends of the 5x zoom range and decent colours and exposure, though the Auto White Balance did prove a bit variable in bright sun.